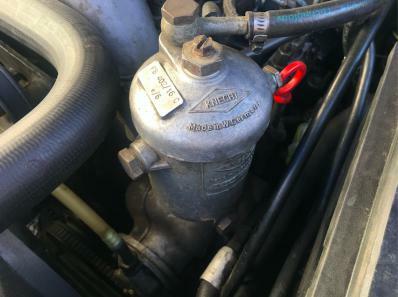 I just recently purchased a 1973 Mercedes 220 Diesel, and after having read through a lot of stuff online regarding this make and model, I have still one concern regarding my fuel filters. 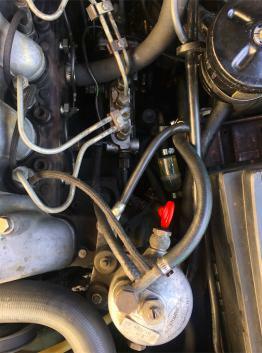 That is, of all the videos/threads I've gone through, all of the fuel filters utilize two options: the small, clear inline filter and a filter that is situated close to the radiator. I know where my inline filter is and feel confident in being able to replace them in the future. However; this last filter is something that is proving to be difficult for me; in my 220D it isn't a filter that is screwed on from above. 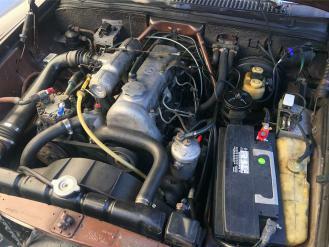 Instead (what I believe to be my fuel filter) is actually within this housing. A Knecht FB 402/16? Does anybody have any familiarity with this? How do you go about opening this housing? I haven't been able to find anything online about them. There is quite a following for vintage Mercedes there so I'm sure someone will be better able to advise.